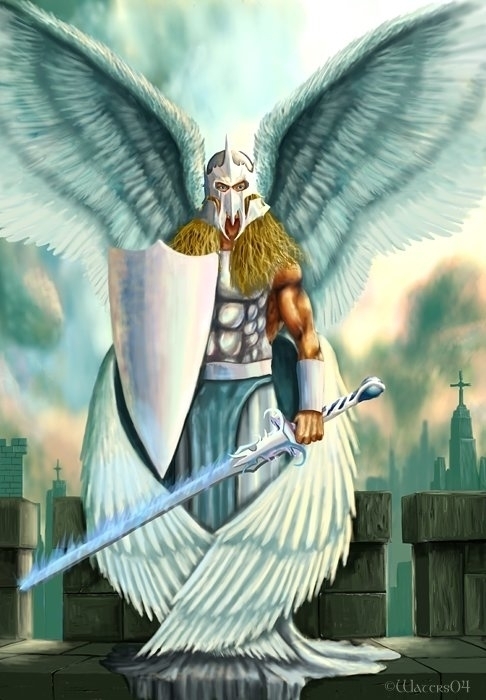 The powerful immortals known as the archangels (sometimes called The Seraphim) were once servants of the gods, who gained their independence, a stronghold, and a small host of servant angels of their own as a reward in their endless efforts against the primordials at the Dawn of Creation. The archangels do not usually serve only one god, but divinity as a whole. They do favor, however, deities who are good or at least cooperative. 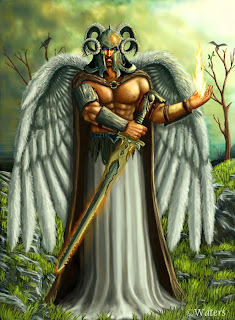 · Gabriel is the Grand Herald of the gods, and the most powerful of the Archangels. He is also responsible for selecting souls for birth, and has influence on the lunar tides and waters of the world. · Raphael is a healer and sage, and it is said that for those who come to his fortress he either heals any injury or answer any question. · Michael is a warrior of great strength and has an inspiring personality, and he is said to have never lost a battle. Many titan lords and even a few primordials fell to his powerful sword. · Uriel is an introverted mystic, and he rarely stays in his stronghold, instead wandering the planes searching for signs of the ‘end of the world’. When that time comes, it is said that he will be responsible for gathering all existence for some form of Final Judgement. Rumor holds that Uriel also has the power to bring final death to immortal souls. 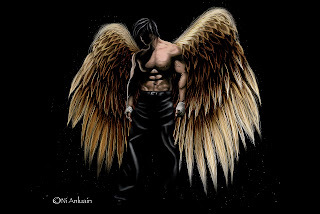 · Samael is a loner and mercenary, and has few contacts to the other archangels. His tactical skill is valued by many deities, and he serves them willingly for the right price and as long as elemental creatures get hurt in the way. His army is a small squadron of powerful immortals with unique powers. 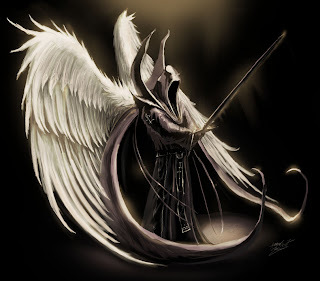 Samael is also known as a “fallen angel”, equitable with Satan and the chief of the evil spirits. One of Samael’s greatest roles is that of the angel of death. In this capacity he is a fallen angel but nevertheless remains one of the Lord’s servants. Most of the time, the archangels follow their own agendas, but when the Astral Powers are threatened, they join their powers to crush their foes. Traditionally, Samael is not seen as a part of The Seraphim by the other four, but when need arises, they call upon him and his tactical genius. They all fit the profile i believe in!